The managing director of a leading personal injury firm has revealed that he and his private equity backers have a masterplan to combine three personal injury practices into a firm large enough to be listed on the London stock market. Jeff Winn, managing director of Newcastle-based Winn Solicitors, said each of the three firms would have annual earnings of £10m to £15m. Speaking at yesterday’s Legal Futures Innovation Conference, Mr Winn said the plan had not come to “full fruition”, because the right firms, each with £10-15m EBITDA (earnings before interest, tax, depreciation and amortisation), had not yet been recruited. He said the combined firm could be valued on the stock market at up to 15 or 16 times its total EBITDA and access additional investment in that way. Mr Winn said “the logic of consolidation” was strong, but there were currently not enough firms with the right profile. Mr Winn said Winn Solicitors was a “one-stop shop” for personal injury matters which had grown by 30% per annum since it obtained private equity investment from JZ International (JZI) and Souter Investments three years ago. He said the firm and JZI had invested in the Law Superstore, which describes itself as “the UK’s first and only legal services comparison website”, and was launched this summer. “The technology works effectively and where solicitors have hit the right price points, the fixed packages have flown out,” he said. However, he said it was taking time for some firms to charge sensible fixed fees. While some looked at their last 10 similar cases and averaged them out, others were “sticking in prices five times more than that, based on the very worst circumstances they could get and the highest price they could charge”. Mr Winn added that funding a law firm could be a “rollercoaster for investors” and they needed to be kept informed and given worst case scenarios. 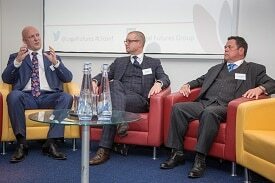 On the same panel, Trevor Howarth, chief executive of One Legal, spoke about the challenges of consolidation in a different legal services market – criminal legal aid. One Legal, an alternative business structure with external funding, bought extradition specialists Kaim Todner earlier this year and followed it up last month with north London practice Guney Clarke & Ryan. Mr Howarth is best known as founder of the defunct Stobart Barristers, which he described yesterday as “a very successful business indeed” that only closed because he left the Stobart Group. He said the criminal legal aid was the most fragmented market of all, and although many firms wanted to be part of bigger organisations, there were problems with the compulsory six years of run-off cover required to leave the market – often a “six-figure sum”. He said there was also uncertainty in the market, with another 8.5% cut in legal aid fees possible next spring. However, he said the market was “attractive to private equity” because nobody apart from One Legal had targeted it. 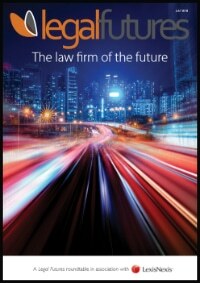 Its model is to centralise back office, deploy bespoke technology and let the lawyers get on with providing legal advice. Meanwhile, Dene Rowe, director of product development at defendant insurance firm Keoghs – backed with private equity investment from LDC, part of the Lloyds banking group – said investors liked technology.